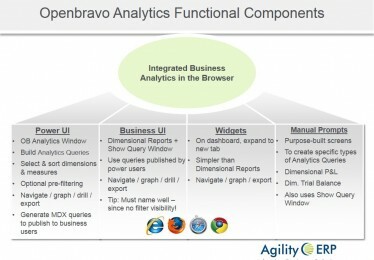 Agility ERP is an Openbravo Gold Partner servicing clients in USA and Canada. 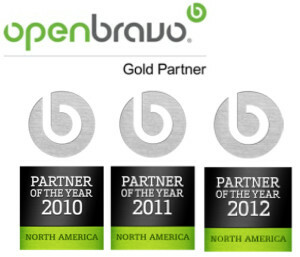 We offer a wide range of Openbravo services for assessing, deploying, improving and operating an Openbravo ERP systems. Agility ERP is an Openbravo Gold Partner and has been recognized as Partner of the Year every year since the award was presented starting in 2010. Use the tabs below to browse these sections in greater detail. Our consulting services are available in prepaid support packages, with fixed fee assessments and as part of ongoing consulting and support services for our longer term clients. Whether you are new to ERP deployments or just new to Openbravo, the first step (assuming you know your requirements) is to validate suitability and to develop a phased implementation plan. If you are not sure about your requirements yet, we can often help accelerate the process with an initial assessment. 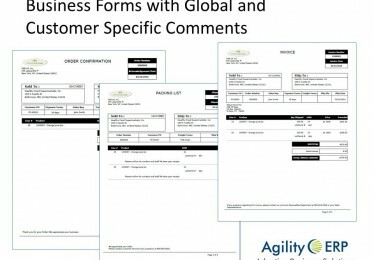 When assessing business applications, Agility starts by reviewing your current systems, processes and goals. We probe into areas that are working well, while searching for low hanging fruit for process improvement. During the assessment and planning phase, Agility will define the general approach, timeline and pricing to complete an enterprise application deployment to suit your business and technical requirements. When companies embark on new systems and processes, we often find existing processes that are not well documented with heavy reliance on “tribal knowledge” or are being performed in a particular manner due to limitations of older systems. For these situations, Agility offers optional business process consulting services that can be used to redefine processes, which can include documentation and training services. In other cases, our clients prefer to take the lead on business process definition, documentation and training internally and leverage Agility for core implementation and backup support services. Once you have completed your assessment, planning and budgeting process, you are now ready to move forward. Agility will first review the project schedule and approach to verify alignment. Then we install and configure the application based on your requirements. Agility implementation consultants will provide basic customization of screens and workflows, and will collaborate with you to define new customizations and deep systems integrations where appropriate. 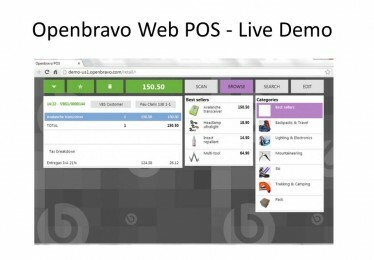 With Openbravo, you can get to a solid prototype environment operational in the first month and begin to validate functional workflows with users in an interactive forum. During this period, some of the customizations required can begin to be developed by the Agility team in parallel. As your go-live date approaches, there are several optional services from Agility that can help ensure a smooth transition. From custom data migration services, to functional training, to formal user verification process, we will work with your team to ensure you are prepared to go live. This phase of the project is primarily in the control of you and your team. Many clients prefer to take a deep and active role in this phase to assure organizational readiness and adoption. Agility will augment your team as necessary to assure our mutual success. 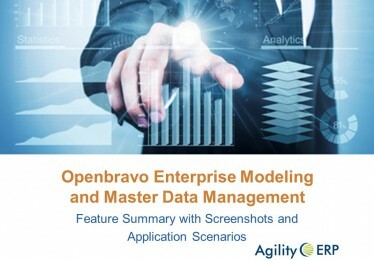 Agility offers a range of onsite and remote services to facilitate the adoption, tuning and ongoing operations of Openbravo and other enterprise applications in your environment. This could include outsourced services to install updates, configure new features, user training and system reconfiguration to stay in sync with your business growth and maturation of business processes. A solid application environment requires careful attention to the underlying IT infrastructure. From cloud to conventional data center solutions, we an provide assessment and operational support to assure your IT environment is working smoothly. This can include one-time services like cost-to-compute analysis, PCI compliance remediation, vulnerability scans and hosting decisions. Agility also provides ongoing services like 24/7 environment monitoring/call center support, system updates (OS, server, applications), network engineering services, backup management to full data center operations for some of our larger clients. 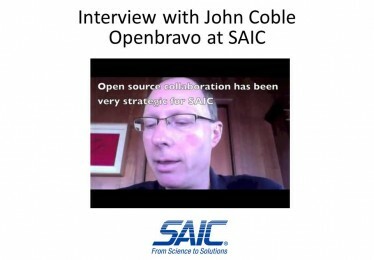 Is Open Source the Answer to ERP?